If it goes into air, whether you throw it or it powers itself, this is the category to find it. Kites get their own category, however. 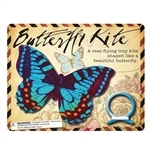 A real flying tiny kite shaped like a beautiful butterly. Kite is 4" wide from tip to tip. Patterns & colors vary. Includes one launcher and one 5" rocket. For ages 8+. Harness the energy of water and countdown to a successful rocket launch. Fill this little rocket with water then pump in air and launch it high. After inflating these balloons, let the go and watch them zoom! Inflating balloons is easy with the included pump. Assorted colors. 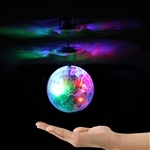 Charge up this flying ball, switch it on and watch it fly up and down while giving you a light show! Built-in sensors let it avoid ceilings and floors. No remote neded. No extra batteries needed. Charging cable included (USB).